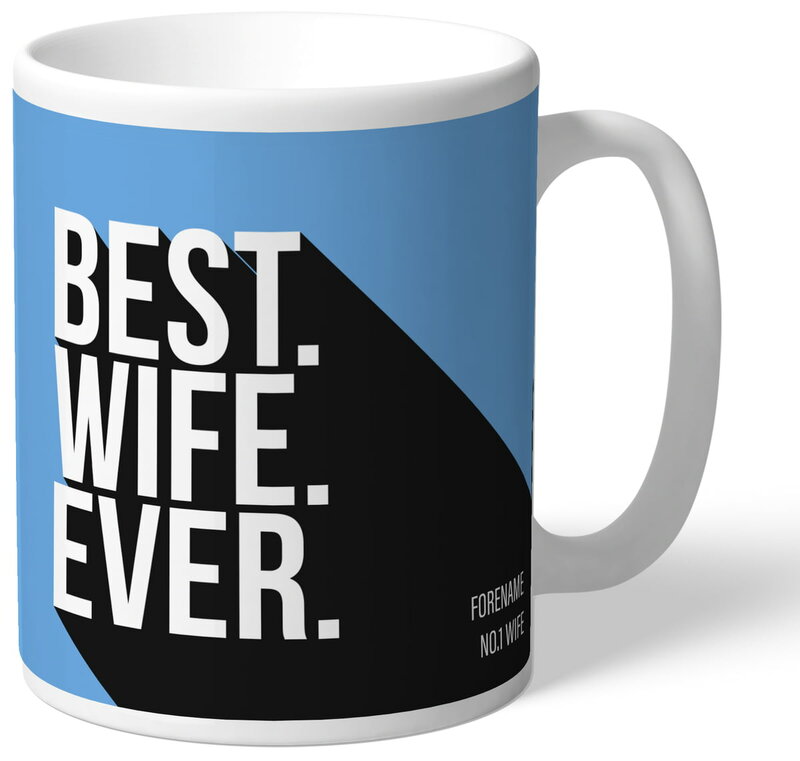 This truly stunning gift is sure to raise a smile as the recipient sees their personalisation on the Manchester City Best Wife Ever Mug. 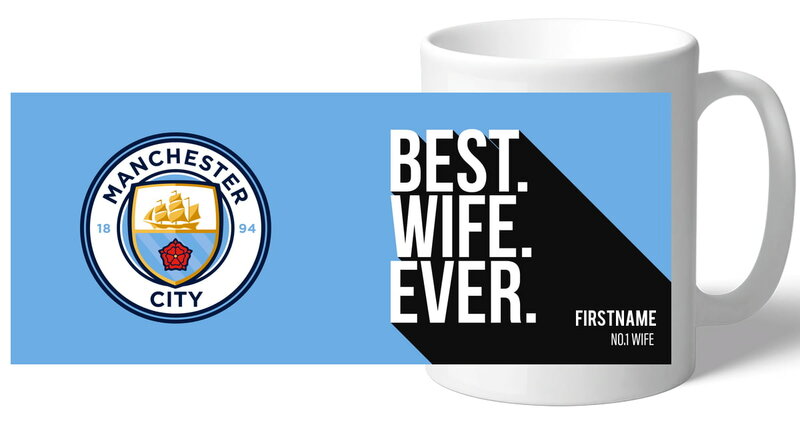 This Manchester City Best Wife Ever Mug makes an ideal gift for any occasion. This truly stunning gift is sure to raise a smile as the recipient sees their personalisation on the Manchester City Best Dad Ever Mug. This truly stunning gift is sure to raise a smile as the recipient sees their personalisation on the Manchester City Best Husband Ever Mug. This truly stunning gift is sure to raise a smile as the recipient sees their personalisation on the Manchester City Best Boyfriend Ever Mug. This truly stunning gift is sure to raise a smile as the recipient sees their personalisation on the Manchester City Evolution Mug. This is a fabulous present for any Manchester City FC fan and is approved and fully licensed by the club. This truly stunning gift is sure to raise a smile as the recipient sees their personalisation on the Manchester City Love Mug. This truly stunning gift is sure to raise a smile as the recipient sees their Surname on the back of the shirt held by the Manchester City FC manager in the club grounds. This truly stunning gift is sure to raise a smile as the recipient sees their personalisation on the Manchester City Stripe Mug.